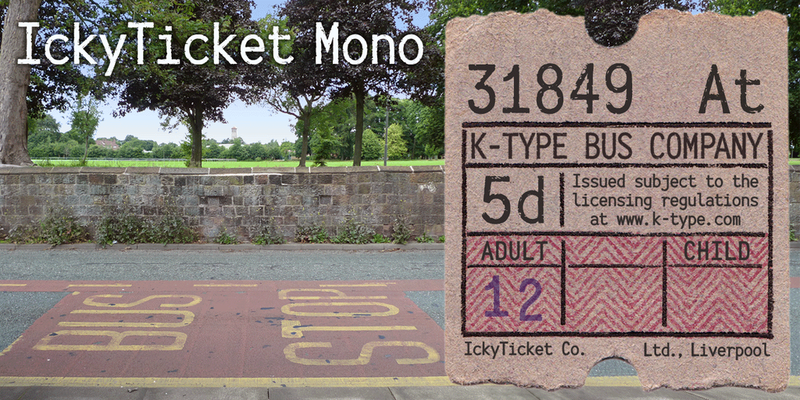 IckyTicket Mono is a monospaced font based on the coarsely printed numbering from 1960s bus tickets, and designed to simulate rough texture at smaller type sizes. 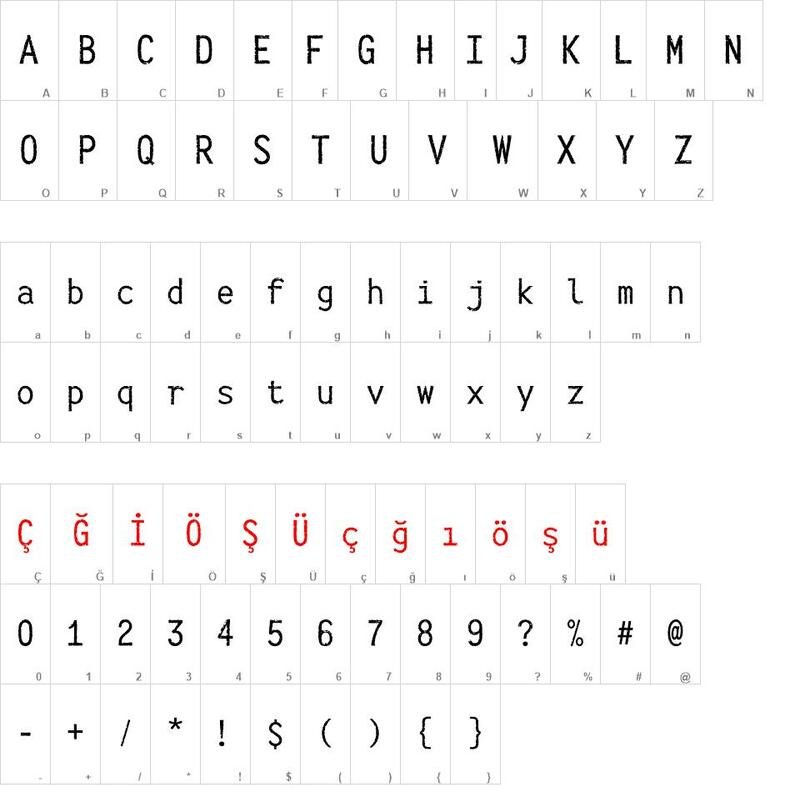 The font contains a full complement of Latin Extended-A characters. 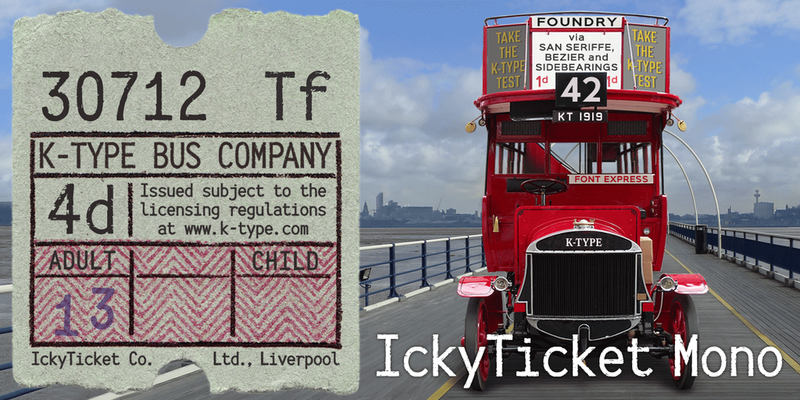 IckyTicket font download, IckyTicket font.